A good family dentist takes the time to teach patients about the importance of good brushing habits. Dr. Derek B. Hauser, DDS, teaches families every day how to maintain excellent oral health. Call (951) 244-9495 to schedule a consultation and learn how to enhance or maintain the perfect smile! You Can Also Make an Appointment Online Today. 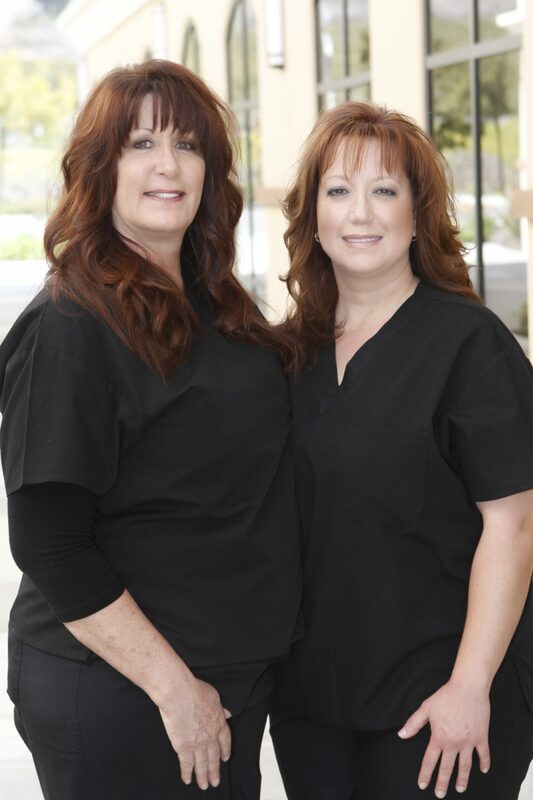 Lakefront Family Dentistry serves families in Murrieta, California, as well as surrounding cities in the Inland Empire. Dr. Hauser is highly regarded by his peers as an exceptional dental provider who offers highly sought after, advanced cosmetic services that are not typically available through other local dentists. Thanks to advances in technology, our office proudly offers same-day cosmetic restoration services that gives patients the convenience they want, with the professional, lasting results they expect. Dr. Hauser is proud to be one of a very small number of dentists in Riverside County who has high-tech manufacturing equipment on site that uses computer aided precision dentistry for creating remarkable porcelain tooth products called CEREC. Our family friendly staff understands the importance of proper oral health maintenance and works tirelessly to help educate everyone entering our state-of-the-art facility. During your visit to Lakefront Family Dentistry, you can expect the staff here to take their time and give you tips for better brushing, as well as explaining the importance of routine cleaning. The American Dental Association (ADA) recommends everyone brush twice per day for at least two minutes each time. 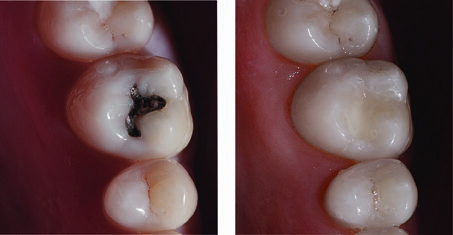 There are lots of tiny cracks and crevices in the mouth where bacteria love to hide. When brushing, make sure to brush in gentle, back and forth motions on both the inner and outer tooth surfaces. Our office carries prescription strength toothpaste recommended for some people, which helps remove plaque, fights tartar, and caters to sensitive teeth. There are several kinds of manual and electric toothbrushes on the market for consumers to choose from. Whichever tooth brushing solution you choose, we recommend you look for the ADA Seal of Acceptance to make sure you are getting a good, quality product. Also, be sure to replace brush heads every 3 months, or sooner, if the bristles become worn. Would You Like a Whiter Smile, but Those Silver (Amalgam) Fillings Don’t Look so Great? No problem. Dr. Hauser Replaces Silver Filling with White Fillings to Match Your Surrounding Teeth Color. For maximum effectiveness, our registered dental hygienists recommend using an electric powered toothbrush. Lakefront Family Dentistry proudly features a display of Sonicare electric brushes, which are personally approved by Dr. Hauser. Many prefer the new DiamondClean Sonicare model, clinically shown to remove up to 4 times more plaque than manual brushing within 4 weeks of use. Flossing helps remove hard-to-reach plaque left after brushing. Left alone, plaque left on surface enamel will harden into tartar, which can only be removed by a qualified hygienist. When consulting with patients, Dr. Hauser explains that daily flossing helps fight bad breath and promotes healthy, disease free gums. People who don’t floss have a much higher risk of bone and tooth loss. Dr. Hauser advises his patients to schedule an exam every 6 months for a routine check up and teeth cleaning. We have special equipment that allows us to identify any areas of concern and perform a thorough cleaning of your teeth. Studies prove people who don’t make regular trips to the dentist are twice as likely to require tooth extractions as a result of gum disease, gingivitis and excessive tooth decay. Why See My Dentist Every 6 Months? At Lakefront Family Dentistry, we have the experience and technology to help prevent unnecessary mouth disease or tooth loss. Dr. Hauser knows exactly what it takes to get teeth to last a lifetime. Dentistry is the only science able to keep people as healthy as a young adult for their entire life. Complete Cosmetic Dentistry Solutions…In One Day! Dr. Hauser is fully trained with 20 years of experience, proudly offering amazing mouth transformations with immediate results. Our highly skilled facility features the innovative CEREC system used to create remarkable, high-quality porcelain crowns, veneers and bridges within minutes. This custom solution eliminates the needs for many visits, so you can save time, which is better spent with family. Using the advanced CEREC system, families who come to us for beautiful smiles enjoy the convenience offered by our advanced cosmetic solutions. We are very excited and look forward to building new relationships with families in Murrieta, CA. Please call (951) 244-9495 and schedule an appointment to consult with our caring dentist, Dr. Hauser, or make an appointment online with us today!